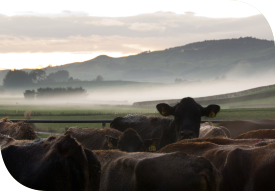 Although we have had a lively start to spring in the Waikato rural property market, purchasers are taking a ‘wait and see’ approach. Despite plenty of interest and no shortage of offers for farms listed for sale, actual transactions are down slightly compared to last year. In light of the dairy downturn, a reticent market is to be expected. Those who want to sell are thinking about how much farms were worth last season, while purchasers expect values to drop or are holding off to confirm recent positive signs around revenue projections. Fonterra’s fortnightly GlobalDairyTrade auction is moving positively, rising recently for the fourth consecutive time and prompting one rural economist to forecast $5.00 per kilogram of milksolids for this season. Although they are understandably cautious, so long as this trend continues, confidence among those looking to purchase land should revive, in which case the rural property market is likely to reactivate before the end of the year. Elsewhere across our nationwide network, my PGG Wrightson Real Estate colleagues are reporting similar trends: Plenty of interest although some hesitation around the willingness of purchasers to commit at property valuations based on $8.00 per kilogram. This renewed positivity suggests values are now unlikely to drop. With banks increasingly optimistic and poised to move soon into competition with each other to support farm purchases at market value, right now is an excellent time to buy. With a shortage of listings, Te Awamutu farms offered for sale before Christmas should attract strong interest. Anyone considering selling would therefore be well advised to act promptly in time to complete a transaction before the 2016/17 season begins, with auction likely to offer the best way to optimise the value of a farm. Meanwhile, in the lifestyle category, Real Estate Institute of New Zealand (REINZ) statistics show rapid growth, with record sales volumes and values. In the three months to 31 August, sales rose 46.7 per cent compared to the previous year and the national median price for lifestyle blocks rose to $545,000, up 6.8 per cent in 12 months. A ripple effect is fuelling growth. Strong residential sales in urban centres, particularly Auckland, are pressuring lifestyle properties on the outskirts and further out of town. Auckland influences our region’s lifestyle market. South of Hamilton through to Cambridge and Te Awamutu are most sought after. City dwellers are moving south, often commuting for three days in Auckland, then working from home the rest of the week. We have auctioned a record number of lifestyle properties since July, with close to a 100 per cent strike rate. Properties sell under the hammer or soon after. With strong demand continuing in the Auckland residential property market, expect this trend to continue.